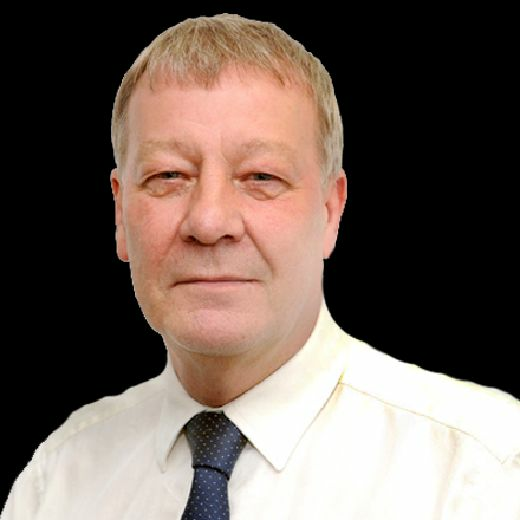 The recent statistic that Hibs have the highest percentage of any UK top flight team for minutes played by club-trained players this campaign unsurprisingly brought a smile of satisfaction to Eddie May, the club’s head of academy coaching. 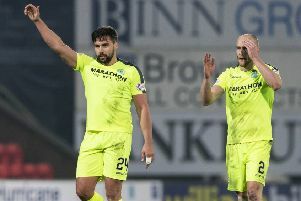 The data compiled by the Football Observatory, a research group within Switzerland’s International Centre for Sport Studies, showed that more than 30 per cent of the minutes played by Hibs players had been completed by those trained by the club for at least three seasons between the ages of 15 and 21 across 31 top European Leagues. The fact that Lewis Stevenson, Paul Hanlon and Steven Whittaker – who all came through Hibs youth system several years ago – have all been regulars in Neil Lennon’s side has obviously bolstered that impressive figure. However, today’s youngsters are also contributing at first-team level. Current Scotland Under-21 internationalists Ryan Porteous and Oli Shaw play an increasing part, while the likes of Fraser Murray, Jamie Gullan, Lewis Allan and Sean Mackie have caught Lennon’s eye. There’s no doubt May, who himself came through the ranks alongside the likes of John Collins, Mickey Weir, Paul Kane, Gordon Hunter, Callum Milne and Kevin McKee, would like to see that ratio increase yet again, but not at the expense of first-team success. “I would like it to rise,” May admitted, “but only if we were winning in the first team. I wouldn’t want to see that figure higher if the first team isn’t winning. It’s the biggest selling point of this club and that’s shown by the crowds they are getting and the way they play is entertaining. Although the first team is undoubtedly Lennon’s domain, the head coach takes a keen interest not only in Hibs’ development squad but those down through the age levels, so often among those on the sidelines as the youngsters play. His presence is further proof that all kids at the club must aspire to his high standards. May, who takes a seat on the first-team bench on matchdays, explained: “The manager is willing to give them the opportunity which is a big, big thing rather than simply demanding he gets experienced players. “He wants kids coming through, developing in the academy and also then getting that opportunity to play in the first team. He is well aware of what’s going on, he knows the kids by name and takes a real interest in any game of football and any kid representing Hibernian Football Club at any level. Life as a professional football player can be tough, something May and his staff make clear to the youngsters under their charge, not only urging them to be the very best they can be but to be prepared for the hard knocks which will invariably come their way. He said: “There have to be standards. Football doesn’t last for 90 minutes. The standards are turning up to training, how you conduct yourself in training and then when you leave the football pitch you are still representing the club. “We try to make them the best they can be, to be good people, to understand the pitfalls of being a professional football player. It’s hard. Professional sport is very difficult, but there are a lot of people behind the scenes who will help them. “We believe they will have setbacks. How they deal with them is really important. It’s not a disaster, but you have to be brave enough and good enough to take it on board and move forward, take the criticism but also expect the criticism. Even if you have done well, there is always someone who will be negative. May understands the impatience of youth and their desire to make the first team at breakneck speed, but also the need to have them understand they have to be ready when that opening presents itself. “There will be opportunities,” he said, “but it’s what you do with them when they come along that is really important. I remember when I made my debut against Dundee, then never got near it for another six months. May has overseen an extensive overhaul of Hibs’ academy and he firmly believes those beginning to make an impression are just the start of what is to come. He said: “There’s been a change of direction. What I have done is change the coaches. The people who were here did a good job, but ultimately I wanted to make the place better and I believe I have done that. The standard is better than it previously was. “There’s a lot of former players in. I’m delighted Gordon Rae - who was club captain when I was coming through - is back. What we have got are people with really good knowledge, but also very good work ethic is terms of making people better and understanding the standard that has to be met to be a top player in Scotland. May also feels that Lennon’s improvement of the first team also brings about a rise in standards within the academy. “The first team moving forward is the most important thing,” added May. “If we bring better players in, our better players in the academy will learn from them, so it’s a win-win situation. “I see a difference when they are training every day and the suddenly train with the first team. That’s when you really excel as a youngster, in with better players, higher demands. Can you handle it? Are you scared to make a mistake? Or do you just play as if you are playing with your development team mates?